Francesco is the Director of AEIP, a Brussels-based European lobbying organization. AEIP, through its members, represents roughly 1,200 social protection providers covering 75 million EU citizens, and managing € 1.5 trillion in assets (about $1.7 trillion). Francesco’s primary focus is the negotiation and alignment of EU institutions in relation to cross-border and national employee benefits plans (including, but not limited to: retirement, healthcare, disability, unemployment, health and safety at work, and paid holidays). He has studied and followed the policies on EU competition law and healthcare services; the obstacles and potential benefits of setting up cross-border employee benefits within Europe; and the legal aspects of setting up social protection plans at company and multi-employer level. Francesco is a member of the European Commission’s Pension Forum and the EU working group aimed at drafting a code of good practices for pension funds, and has provided technical assistance to the Social Protection officials within the Government of Lithuania, to help prepare Lithuania to take over the Presidency of the EU. 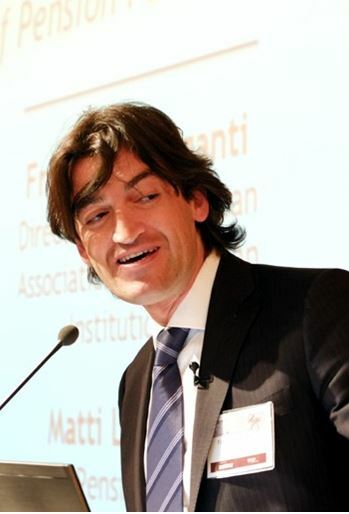 Francesco has a degree in law from the University of Bologna (Italy), a Masters degree in International Political Economy from the University of Kent (UK), and a PhD from the Marco Biagi Foundation Research Institute of the University of Modena.